Home » Association News » An invitation………. 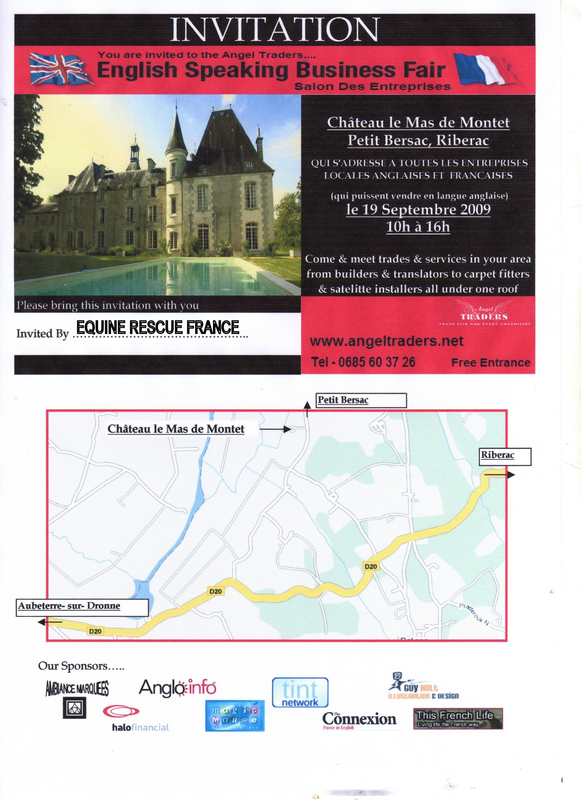 We’d like to tell you about the forthcoming English speaking trade fair which is being held at the beautiful Chateau le Mas de Montet, Riberac on September 19th. Come along and meet us on the ERF stand where Trina will be showing examples of what we’ve acheived in the past 2 years since we formed, as well as the opportunity to treat yourself to some great ERF branded clothing!